| DEAR MAYO CLINIC: I’ve always enjoyed drinking a glass of milk with most meals, but now there are so many options other than cow’s milk. Are plant-based milks, such as soy milk or almond milk, healthier options? ANSWER: Cow’s milk (dairy) and other plant-based beverages, including soy milk and almond milk, all can be healthy choices. However, there are wide nutritional differences, depending on the type of product and the brand. Generally, you can break down the benefits by reviewing the nutritional information for each beverage. Things that are important to focus on are fat content, protein, calcium and the amount of added sugars, if any, in each product. In terms of fat content, skim milk has negligible amounts of fat, but the amounts of cholesterol-raising saturated fat increase stepwise with 1 percent, 2 percent or whole milk. This is important to pay attention to, as the American Heart Association recommends limiting saturated fat to no more than 7 percent of calories in your overall diet. 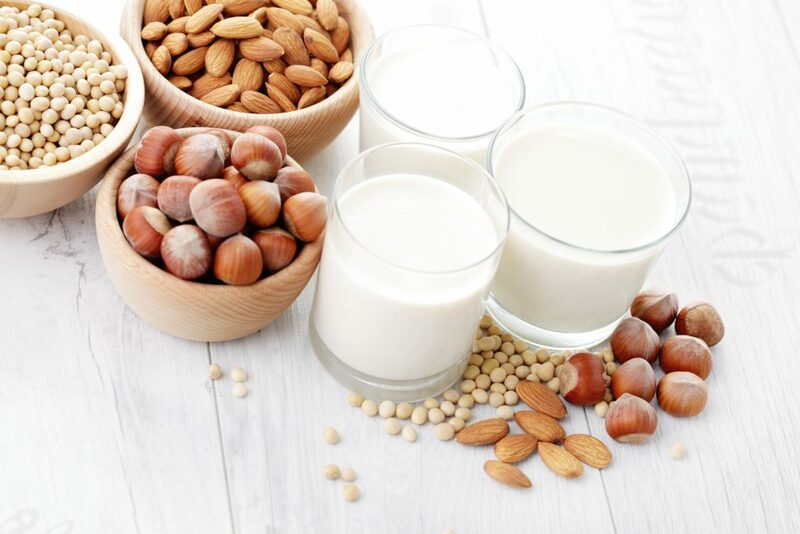 Soy and almond milks contain about 2 to 4 grams of fat per cup, but those fats are predominantly healthy, monounsaturated and polyunsaturated fats. When considering calcium, dairy milk naturally has about 300 milligrams per cup, and dairy products generally are considered the best absorbed source of calcium. Many soy or almond milks are fortified with calcium to at least match the amount of calcium in dairy milk. That said, your body may not absorb all of the calcium in soy milk since soy contains a natural compound (phytate) that inhibits calcium absorption. And then there are added sugars. Unflavored white dairy milk and unsweetened soy and almond milk contain no added sugars. However, for some, the taste of unsweetened soy or almond milk can be an issue. You may find 4 to more than 20 grams of added sugars in a sweetened — or flavored — beverage. Checking the Nutrition Facts label is the best way to find a taste you like with minimal added sugars. Remember, unflavored white dairy milk will have sugar listed on the label, but it’s lactose, which is naturally occurring milk sugar. In summary, it’s tough to beat dairy milk for balanced nutrition — with nonfat skim milk the best choice for most adults. Still, not everyone can tolerate dairy milk, and some may prefer to avoid animal products — or simply want to mix in something different. Unsweetened soy milk is the closest match nutritionally, plus you get a few grams of healthy fats that you won’t get from skim milk.